I was having a moment of panic realizing a lot of my summer dresses didn’t get worn this summer due to pure laziness. So I had to get this coral puppy out before it’s too late. I also wanted to make a statement of “hey look you can pair summer colors with fall tones for a new look”. That’s my only trick here. We shot these photos at the Crest Theatre, best known for their gorgeous neon signage out front. Everything from the floor to the ceiling were covered in art deco goodness. 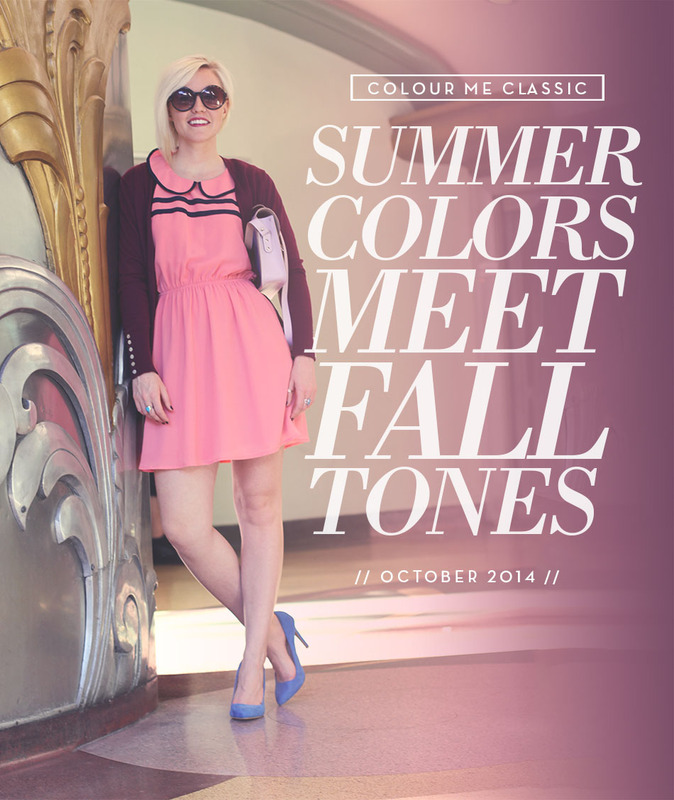 I urge you try mixing your summer colored pieces whether they be yellow, orange or blue with darker tones. Try browns, maroons or mustards. You’re bound to come up with an fun unlikely color combination. Tag me on Instagram with your creations @colourmeclassic. love how you paired this outfit with blue heels! one of my fave outfits of yours! love that purple bag!